Every morning at 4:33am, London Lane's mind resets. Everything from the past is gone forever, and she only has glimpses of her future to cling to. She knows that her best friend Jamie and her will go on a trip to Mexico, but she can't remember that they had a fight yesterday. The only person she remembers is her mother - a guide to her past. But questions are stacking up about her past as her future reveals glimpses of a shattered past. What really happens at the funeral that she keeps dreaming about? What happened to her father? Why is her mum keeping secrets from her? But what happens when she meets the guy of her dreams and she can't remember him from her past, or see him in her future? 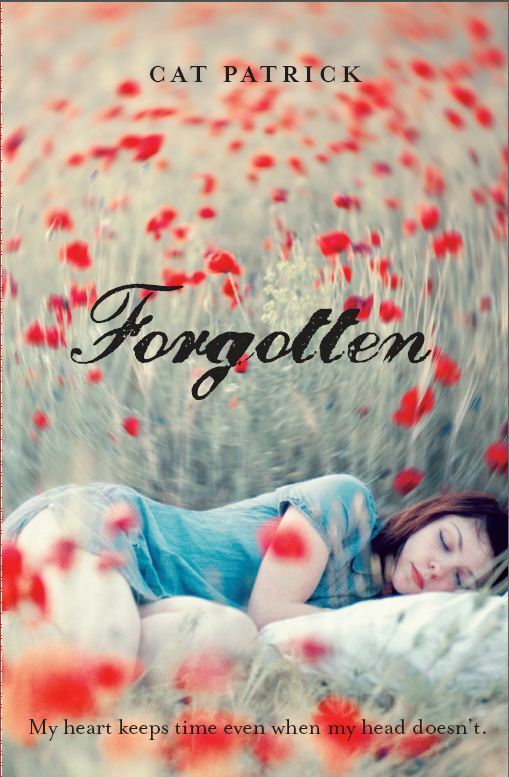 Lured to Forgotten by hype about it in the blogosphere, and the field of poppies on the cover, I am glad that I picked up a copy of Forgotten. Although Forgotten may seem like the 2004 movie 50 First Dates Forgotten is not everything that you would expect from what the description tells you. With many layers to the plot-line, Patrick has cleverly crafted this novel to make you feel like the main character London, wondering what you don't know about her past. Multiple sub-plots are sprinkled throughout the novel, keeping you guessing about what the truth really is. I really enjoyed Forgotten, and I think that it appeals to many age ranges, girls from 13 up. Although this is a YA novel, in my opinion, even adults would enjoy Patrick's witty writing and enticing plots.